The Occupational Safety and Health Administration (OSHA) of the United States revealed the leading causes of fatalities in the construction industry–the Fatal Four. Did you know that the agency estimates at least 631 employees will be safer when the Fatal Four is eliminated? That’s huge! Today, many businesses are now focusing on preventing accidents in the workplace. Within the construction industry, workplace safety doesn’t rely on one person or department. Developing a safety culture involves both top-level managers and front-line workers. Managers are not only responsible for safety planning but as well as programs that encourage and promote employee well-being. Part of working towards a safer working environment for both employees and business owners is making sure that legally mandated standards are met: Are there enough protective equipment for workers? Do you have back-up safety procedures in case of falls or accidents? Is your workplace safety manual updated? With this in mind, OSHA published it’s latest Top 10 Most Common Safety Violations to alert employers and business owners of potential standard safety breaches. This statistics allows stakeholders to fix potential issues prior to a safety inspection–enabling business owners to practively resolve any hazards within their premises. 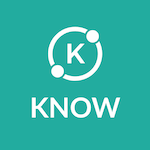 KNOW is a workplace productivity management platform helping companies manage their desk-less frontline workers. Managers have the ability to upskill their team through the in-app training modules, see task updates, and generate reports. Talk to us to know more on how we can help improve your productivity and workplace safety.